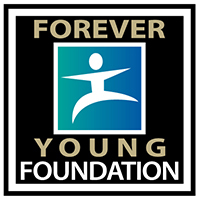 Thank you for your interest in the Forever Young Foundation. Your generous donation will help make a difference in the lives of the children served by Forever Young. You can be assured that the money you entrust to us will be used wisely and prudently. To mail in your donation, please use the following address: Forever Young Foundation 1424 S. Stapley Drive Mesa, Arizona 85204. 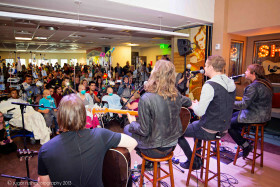 Sophie’s Place is a dedicated music therapy facility built in children’s hospitals. These special spaces care for young people suffering from pain, chronic illness, and serious injury through evidence-based music therapy treatment. 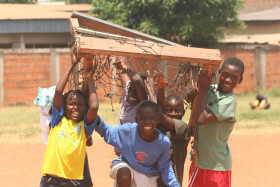 Forever Young’s charitable efforts in Africa are administered through the African NGO, Engage Now Africa. Created by Lynette and Bob Gay in 2002, Engage Now is committed to fighting poverty, illiteracy, and disease in the countries of Ethiopia, Ghana, Sierra Leone, and Namibia. Forever Young Zones serve children who are working through emotional and health challenges, or are living in underserved communities. Hospital, Media, and 8 to 80 Zones focus on the child by providing space for creative expression, recreational therapy, and education opportunities. 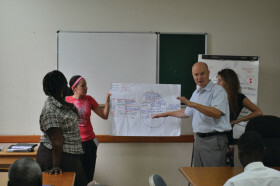 Forever Young gives back to the nonprofit community by underwriting Forever Young Institutes—week long training events that give nonprofit leaders access to some of the world’s best nonprofit leadership and management education.